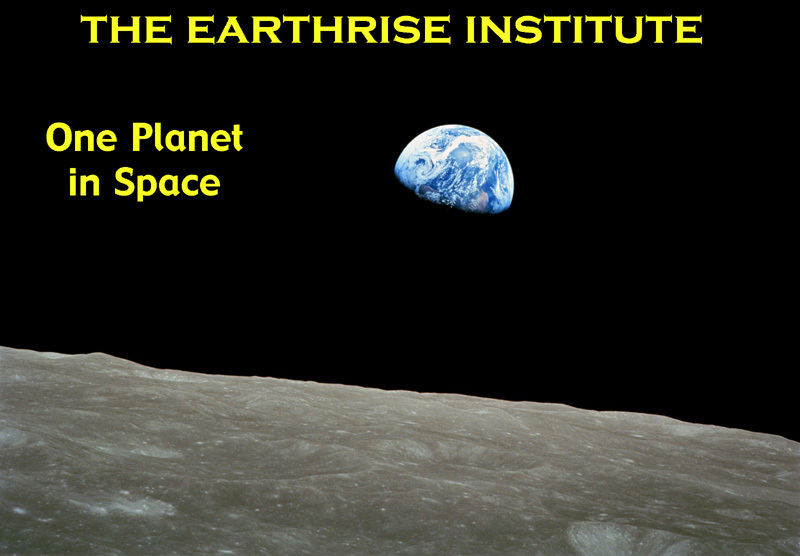 The images on this page are copyright Las Cumbres Observatory and The Earthrise Institute. All rights reserved. LEFT: Comet PANSTARRS C/2016 M1 (no. 629) on January 17, 2019, from the LCO facility at Cerro Tololo Inter-American Observatory in Chile. 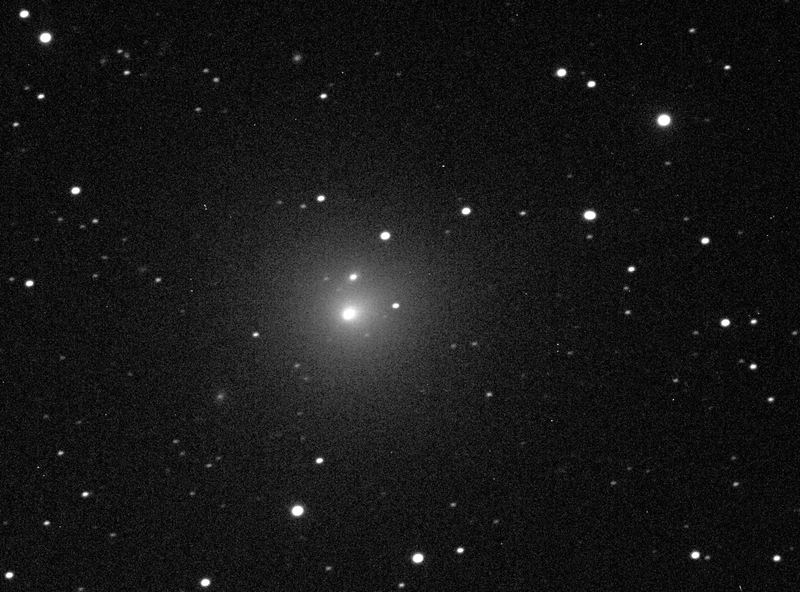 RIGHT: Comet Iwamoto C/2018 Y1 (no. 658) on January 16, 2019, from Teide Observatory in the Canary Islands. Two distant incoming Comets PANSTARRS. LEFT: Comet C/2017 T2, on January 17, 2019, from the LCO facility at Cerro Tololo Inter-American Observatory in Chile. (The comet is the small, slightly fuzzy object just above left of center.) As I discuss in an earlier posted image, this comet may become fairly bright as it approaches perihelion passage in May 2020. 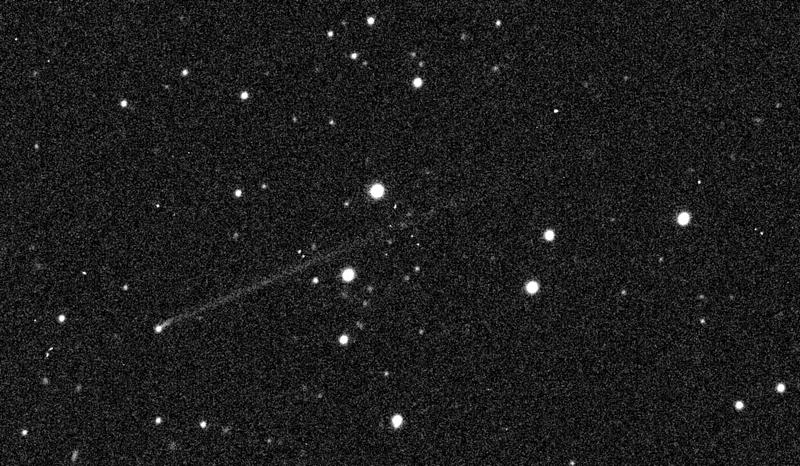 RIGHT: Comet C/2017 K2, on January 17, 2019, from the LCO facility at McDonald Observatory in Texas. (The image was taken during early dawn; the comet is the faint, diffuse object just above center.) I discuss this comet under "Long-Range Comets" on the Incoming Comets page. 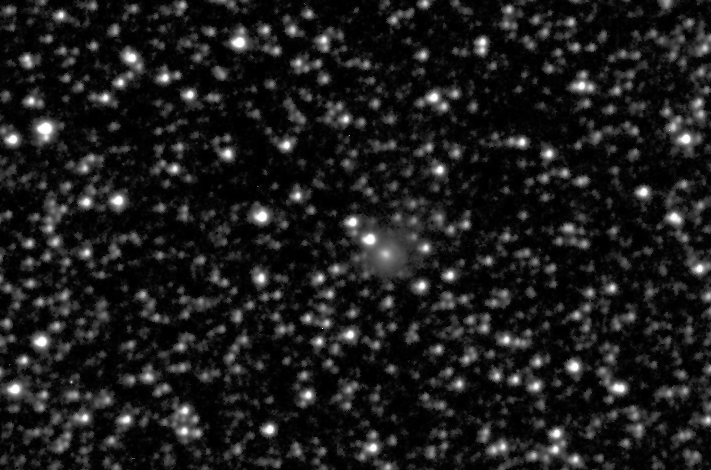 At the time this image was taken the comet's heliocentric distance was 12.4 AU, yet it shows up plainly on this 150-second exposure with a 0.4-meter telescope. 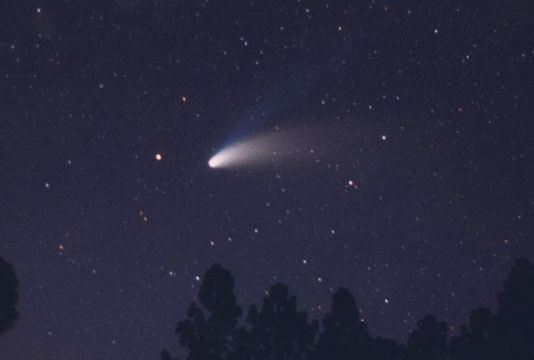 It is actually a bit brighter than Comet Hale-Bopp C/1995 O1 (no. 199) was at a similar heliocentric distance inbound. 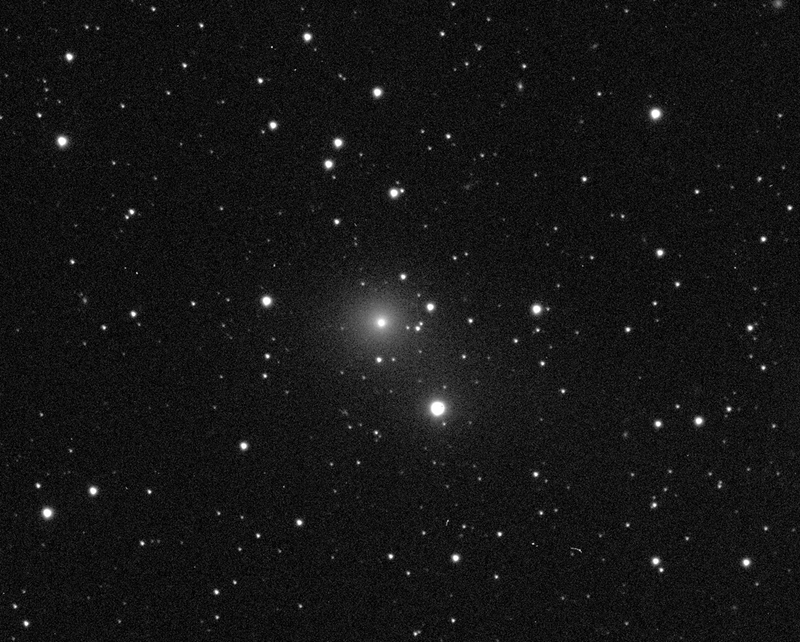 LEFT: Comet Gibbs C/2018 A6 on January 16, 2019, from the LCO facility at Cerro Tololo Inter-American Observatory in Chile. I unsuccessfully attempted this comet visually when I was in Australia. It is a large-q (3.0 AU) Halley-type (P = 60 years) comet, and passes perihelion in mid-July 2019; it remains in southern circumpolar skies and theoretically may become visually detectable from the southern hemisphere. 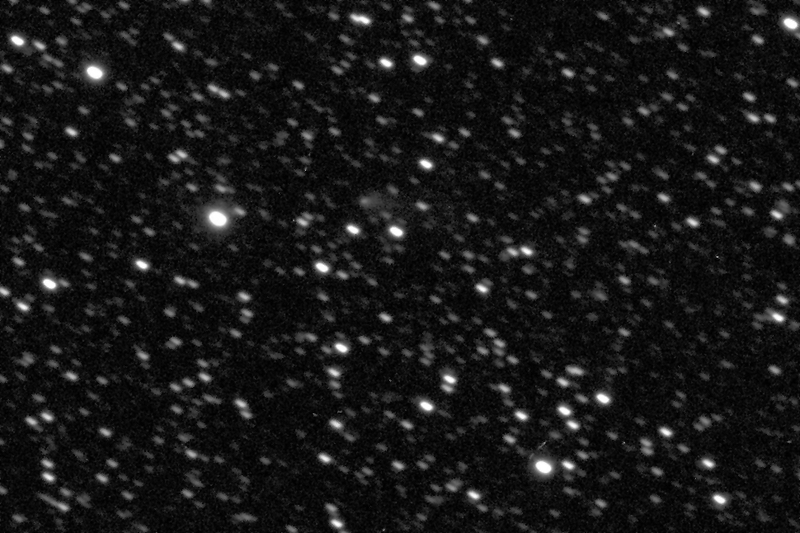 RIGHT: The "active asteroid" (6478) Gault on January 28, 2019, from the LCO facility at Teide Observatory in the Canary Islands. At first glance there appears to be a "kink" in the tail close to the "head," however this is actually the beginning of a second tail that grew longer and more conspicuous over time. 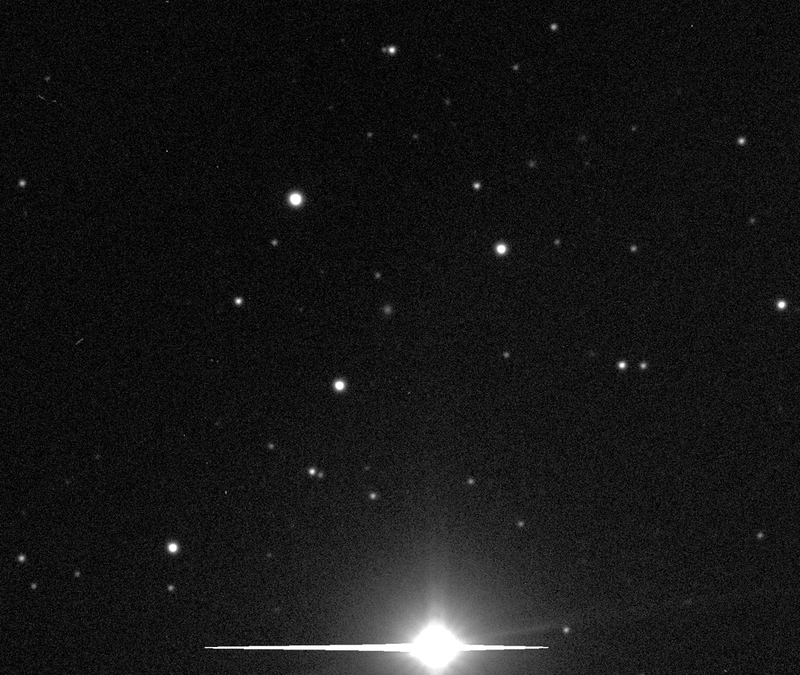 Gault has recently been imaged with the Hubble Space Telescope. 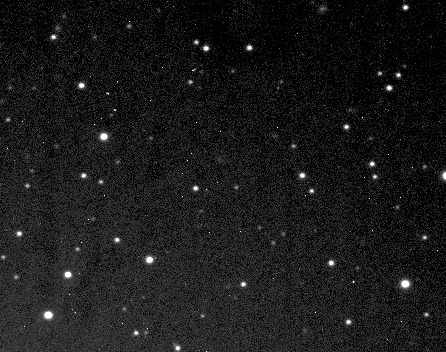 LEFT: Comet Iwamoto C/2018 Y1 (no. 658) on January 30, 2019 -- one week before perihelion passage, and two weeks before its closest approach to Earth -- from the LCO facility at Teide Observatory. 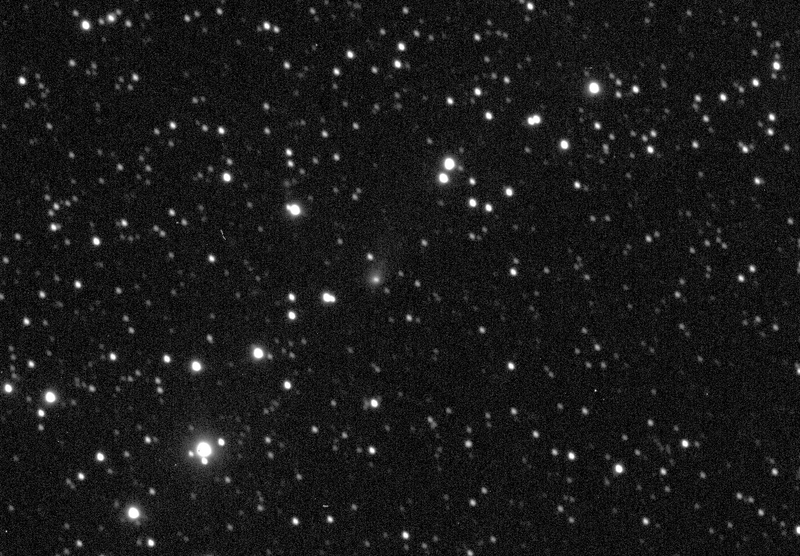 RIGHT: Comet PANSTARRS C/2017 T2 on February 6, 2019, from the LCO facility at Teide Observatory. This comet, which I discuss on the Incoming Comets page, continues to brighten but was still too faint for visual detection by the time it disappeared into evening twilight around the end of March. 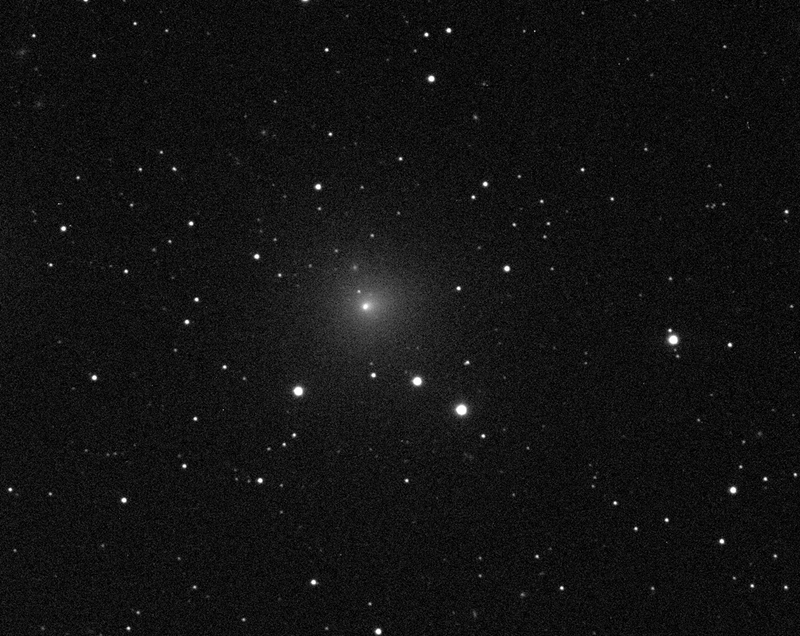 LEFT: Comet ATLAS C/2017 M4 (no. 644) on March 3, 2019, from the LCO facility at Siding Spring Observatory in New South Wales. 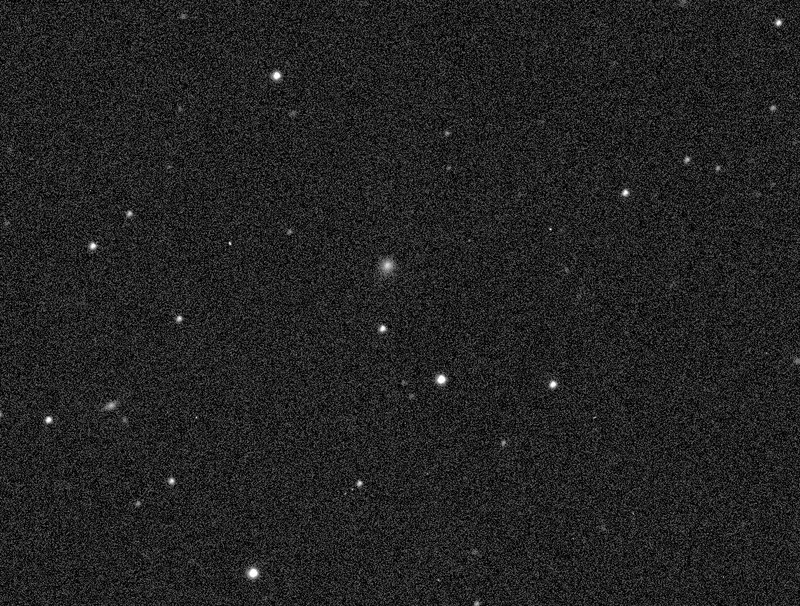 RIGHT: Comet Flewelling C/2019 D1 on March 13, 2019 -- at which time it was still listed on the Minor Planet Center's Possible Comet Confirmation Page -- from the LCO facility at the South African Astronomical Observatory. There is a reasonable possibility that this comet will become bright enough for visual observations around the time it passes through perihelion in mid-May 2019.